During the Olympic Games, Rowdy Gaines did a breakdown of Phelps' body. 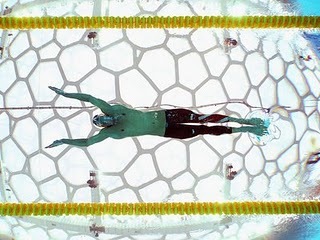 It is absolutely amazing that he is literally the perfect build for a swimmer! Hmmm...time to look for clones! Excellent breakdown with the post!